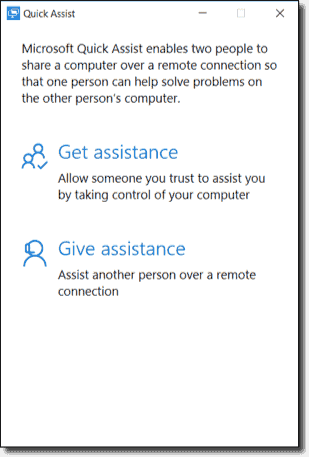 Quick Assist is a tool in Windows 10 1607 and later that replaces Remote Assistance. 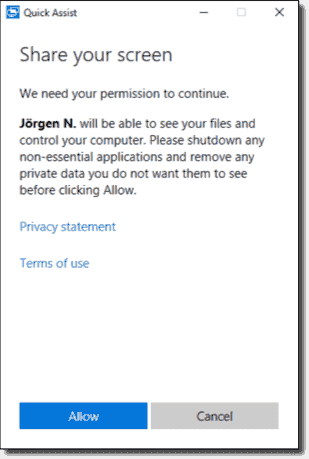 It allows you to control a user's computer remotely using a Microsoft account. In this post, you will learn how to use and block or remove Quick Assist. In short, on the machine that is to get remote help with Quick Assist, the user enters the six-digit code that the person offering remote control tells them over the phone, for instance. Then the remote-control session starts. 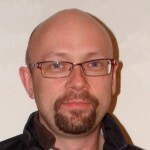 I recently presented on how to customize Windows 10 at events like the Midwest Management Summit (MMS) in Minneapolis, Techdays Sweden, and Techorama in Belgium. 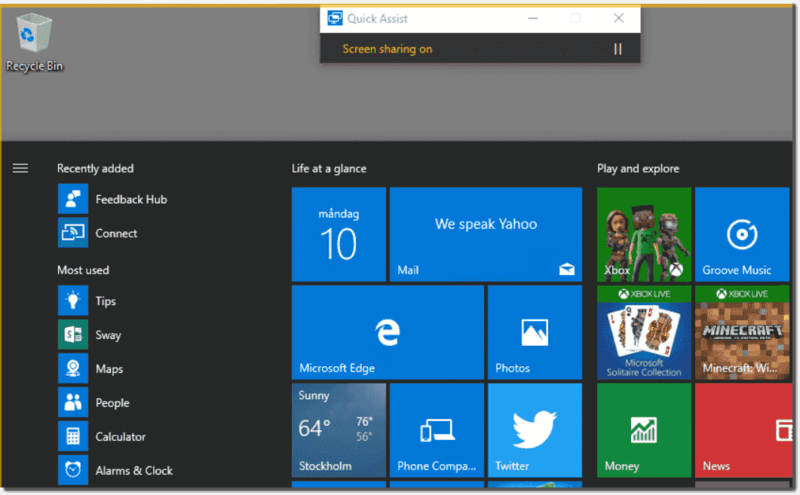 One thing that strikes me every time I explain how to block or remove Quick Assist in Windows 10 is that many people have never heard of Quick Assist. There also isn't much documentation available. Launch Quick Assist on the machine you want to offer remote control from. 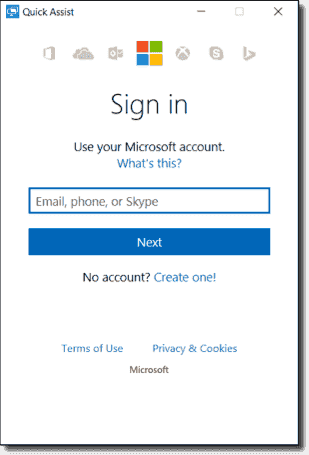 Select Give assistance and sign in using a Microsoft account. You will then get a code that is valid for 10 minutes. You can also send an email or copy the code to the clipboard. On the computer to remote control, we launch Quick Assist and then select Get assistance and enter the code generated above. Then we need to agree to allow the person who created the code to remote control the machine. It works well and smoothly. The person with the remote-controlled machine can pause the screen sharing, for instance, to enter a username or a password. 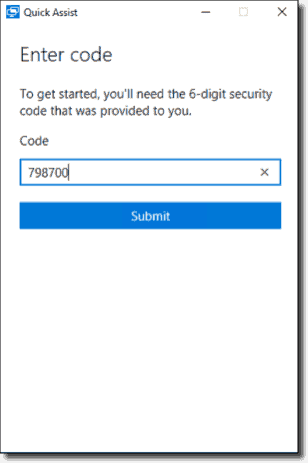 "Query Operation, QResult: NoError, Query ID: 0xD8DB, OpCode: NoError, Query Name: remoteassistance.support.services.microsoft.com, RR Type: A, RR Class: Internet, Answers: [52.178.208.253]"
Quick Assist uses port 443, so you needn't open any additional incoming ports. Should you block or remove Quick Assist? Every organization has to make this decision. For some, Quick Assist is a great feature to offer remote assistance to road warriors wherever they are. For others, Quick Assist poses a risk. Hackers could simply call users and tell them their computers have viruses and require remote cleaning. We can block Quick Assist in many ways. However, there is no Group Policy for this purpose as there is for Remote Assistance. I also miss the ability to allow only specific accounts to offer remote control. It would also be great if Quick Assist created event log entries indicating a specific Microsoft account has remote controlled the machine. Many think that Microsoft Quick Assist is a modern app, but it is actually an .exe file located at %windir%\system32\quickassist.exe. This means we can block it using Windows Firewall or Applocker. Removing it is the cleanest option, as it removes it from Search and the Start menu as well. If you just block Quick Assist, users can still start it and then contact support if the tool isn't working as expected. 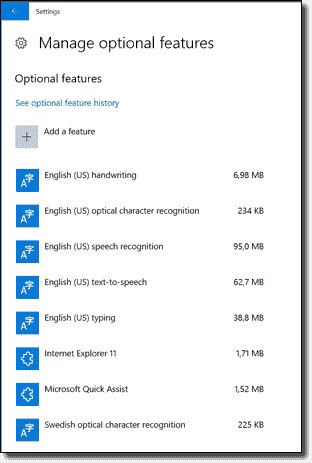 I am assuming these security enhancements to Quick assist have been put on a wish list for MS? I don't understand why this would not have been thought of when things like security for RDP is put into place even having a policy to only allow certain users and even subnets to allow RDP. 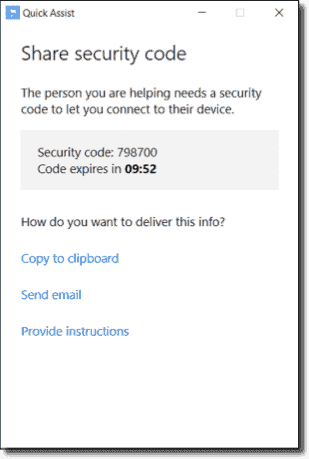 I know that the old remote assist was tied to RDP so there was some security, has anyone tested to see if perhaps those rules still apply? Or perhaps Quick assist is just an entirely different beast needing totally separate GPO rules?